Surfrider’s Student Club program was designed not only to serve as a platform for passionate students who want to engage in coastal conservation work in their community or on campus, but also as a tool to cultivate the next generation of coastal defenders who can help support (and hopefully one day lead) our chapter network. 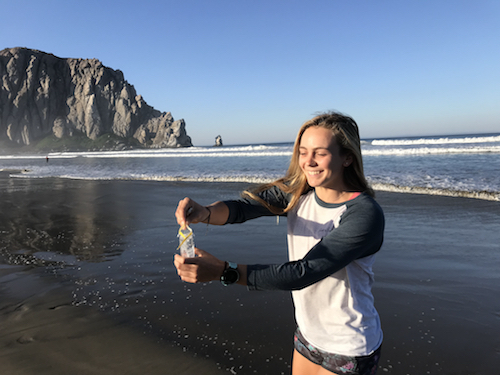 Here is a great example of how our Cal Poly Surfrider Club and San Luis Obispo Chapter in California have teamed up on the Blue Water Task Force (BWTF) program to expand the geographic boundaries of their water quality monitoring. The San Luis Obispo (SLO) Chapter started their BWTF water testing program in 2012 and since then has built a team of dedicated water samplers and testers that monitor 12 sites on a weekly basis. 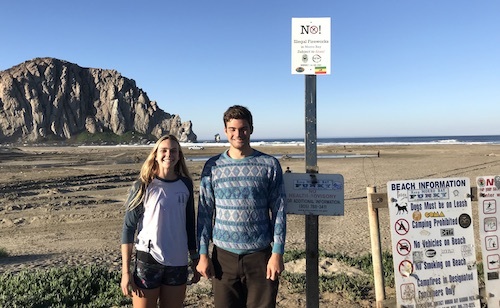 In 2018, the SLO BWTF Coordinator, Niel Dilworth worked with Andrew Levora from the Cal Poly Surfrider Club to reestablish three additional sites at popular surfing locations closer to the Cal Poly campus: The Pit and Toro Creek in Morro Bay and the Cayucos Pier. 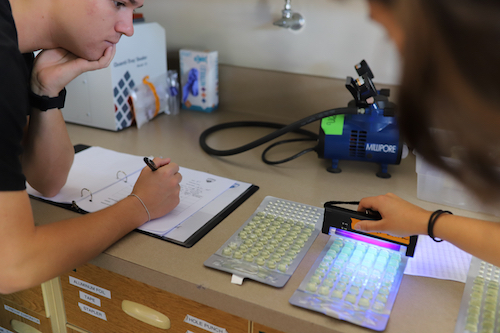 The sampling is conducted by members of the Cal Poly Club, supplies are provided by the SLO Chapter's BWTF program and the lab work is done in the biology department at Cal Poly. View a map of all of the chapter’s sampling sites and their water quality data here. “Water quality testing for public health purposes has interested me in the past, so I was stoked to have the opportunity to help start a new BWTF program as part of the Cal Poly Surfrider Club. Because their lab and other sampling sites are located 40 minutes south of Morro, the SLO Surfrider chapter needed a group of volunteers and a second lab space in order to get these North County sites up and running again. Niel showed me how straightforward it is to run the sampling and gave me a solid sense of security about getting the program going. I’m also very thankful for Dr. Nelson, an Environmental Engineering professor on campus who offered to provide lab space for the testing. He enjoys regularly surfing these spots, so he was happy to support the project. Check out this cool video of sample preparation in action! This collaboration has been made possible by a $5000 grant that the BWTF received from the SLO Community Grant Foundation. One of the main goals for securing this funding was to reestablish monitoring coverage at the sites that the Cal Poly Surfrider Club is now testing. Learn more about the programs and campaigns the SLO Chapter is running on their website.